On a hot summer night, nothing refreshes more than a bowl of icy cold soup. It's light yet satisfying, and very delicious. This soup is all about sweet summer corn at the height of the season. The corn cobs flavor the broth while the kernels add sweetness and texture. Low in fat, it's vegetarian and gluten free. Popcorn you ask? Try it. You may be in for a pleasant surprise! 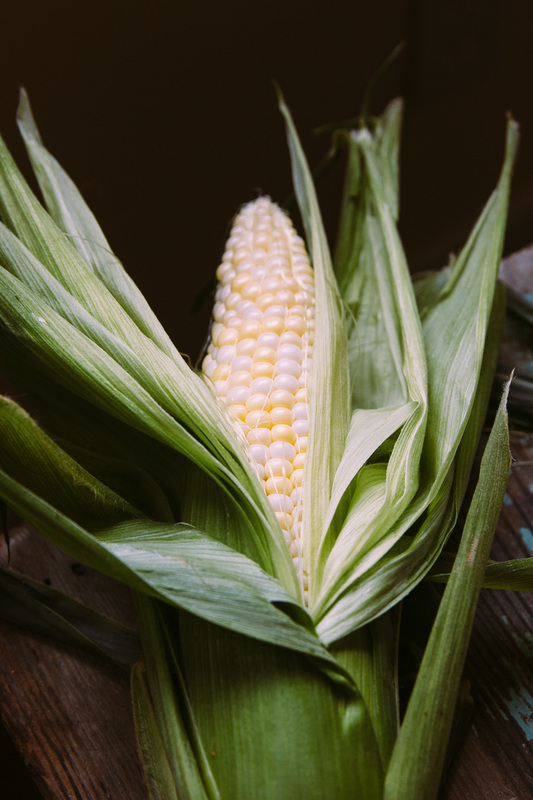 Using a serrated knife, remove the kernels from the corn and set aside. Place the cobs in a stockpot with 5 cups of water. Bring to a boil, cover, lower heat to a simmer, and cook for 30 minutes. Remove from heat and discard the corn cobs. Set aside to cool slightly. Melt 3 tablespoons butter in a skillet and saute the chopped onion until soft and translucent. Add the corn, reserving 1 cup, and cook for an additional minute or two. Season well with salt and pepper. Using a blender, Vitamix, or immersion blender, puree the broth together with the corn /onion mix until smooth and creamy. Transfer to a stockpot. Saute the reserved cup of corn in 1 tablespoon of butter for a minute or two. Add to the soup. Add the chopped dill and adjust salt and pepper if needed. Chill in the refrigerator until ready to serve. Fill a small paper bag (brown sandwich bag) with 1/4 cup kernels. Fold bag several times to seal. Microwave on high for 2 minutes. Add small amount of popcorn to each cup of soup just before serving.